Need to get rid of that pile of bricks? Removing a sidewalk and not sure what to do with the concrete? We're here to help! The RTW Recycling Yard will take your excess, unused, waste stone materials for recycling. 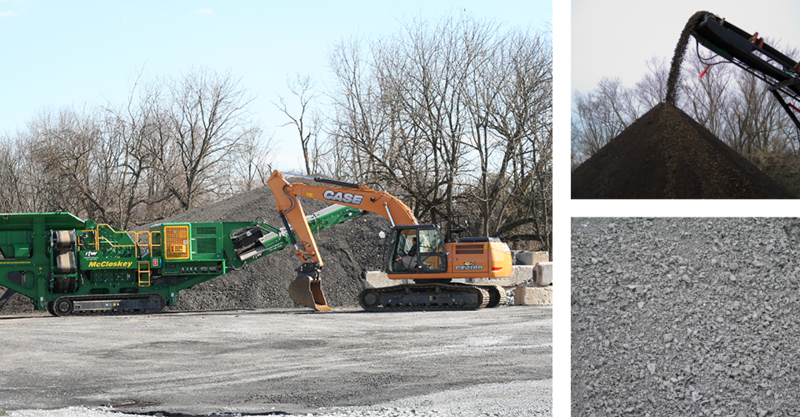 We accept materials from local residents, businesses and contractors alike. Materials can be dropped off anytime during normal business hours. Please call if you need to arrange for additional time. Please stop by the office and one of our staff members will direct you where to dump your unwanted materials.